Graduation with a Bachelor’s degree from an accredited college or university with major coursework in Architecture, Business, Environmental Studies, Natural Science, Planning, and Resource Management or in a field related to the job, plus four (4) years of related experience. Masters degree may substitute for two (2) years of the required experience. Must be TCEQ licensed irrigator or licensed irrigation inspector for Irrigation positions or obtain license within six (6) months of employment. IREC certification for Mechanical, Plumbing, or Electrical is required if working in Program Compliance, Inspections or obtain license within six (6) months of employment. This position is in the Energy Efficiency Services division and reports to the Environmental Conservation Program Manager. This position will be responsible for the following tasks: Processing rebate applications in an online rebate processing tool EECP for residential, commercial, small business, demand response, multifamily and other enrollment types. Handling phone and email customer/contractor inquiries, provides assistance related to educating customers and contractors on energy efficiency, demand response, solar and other conservation programs. Revising and creating process improvement documents including but not limited to informational checklists and fact sheets, process flows, talking points and RACI charts. 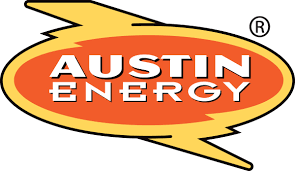 Promotes and markets programs to Austin Energy customers by participation in outreach activities including utility-sponsored events, community events, employee fairs, or other venues. Handling Energy Conservation Audit and Disclosure (ECAD) mailbox and phone inquiries and other process related tasks in support of the ordinance. Utilize excel to perform bulk uploads for rebates and rebate payments. Additional ad hoc requests for graph/spreadsheet creation. The City of Austin employment application is an official document; incomplete applications will not be considered. Please be sure that your application is a reflection of your entire work history. A detailed and complete employment application is required to help us better evaluate your qualifications and will be used to determine salary if you are selected for this position. Describe your specific experience for each position. Include all job duties, responsibilities, and employment dates. Any gaps in employment must have an explanation and dates of unemployment. Please be sure that your application is a reflection of your entire work history. Resumes will not be accepted. Statements such as “see resume” will not be accepted. You may use “N/A” for fields that are not applicable. Starting salary will be based on overall relevant experience from your employment application. Supplemental information or changes to your application will not be accepted after the job posting closes. The responses to the supplemental questions must reference the employment history listed in the employment history section. Once the requisition has closed, the application cannot be changed to update work history, supplemental questions, or any other information. Military/Veterans must provide a copy of their DD214 verifying honorable discharge, at the time of initial interview to receive military/veteran interview preference. Work hours may include after hours, holidays, and weekends. Additional hours may be required to work outside of regular schedule. The top candidate will be subject to a minimum 10 year criminal history background check. Exempt employees are salaried employees and, except as provided, are not eligible for overtime compensation. Non-exempt employees will be compensated for any additional hours worked when such compensation is required by law. Please note that Austin Energy may close the job posting at any time after 7 days from the date of the initial advertisement. Implements conservation programs in residential, commercial, or industrial settings. Gathers and analyzes historical energy or water usage data, including rates or tariffs to determine conservation recommendations for customers. Inspects or evaluates buildings, mechanical systems, electrical systems, water systems, or process systems to determine the energy or water consumption of each system. Recommends energy or water efficient technologies. Quantifies energy or water consumption to establish baselines for use and need. Calculates potential for savings. Prepares audit reports containing energy or water analysis results and recommendations for cost savings. Prepares job specification sheets for residential, commercial, or multi-family home energy or water improvements and retrofits. Educates customers and contractors on energy efficiency and answer questions on topics such as the costs of running household appliances and the selection of energy efficient appliances. Performs field audits, pre-verification and final inspections to determine customer eligibility for conservation rebates. Coordinates conservation program activities with contractors, ensures compliance with energy efficiency programs and rebate requirements. Promotes conservation programs to the public through on-site appointments and participating in outreach activities by attending trade shows, conferences, and other community events. May lead departmental project teams. Knowledge of energy or water efficiency technologies, practices, programs and rebate requirements. Knowledge of applicable building codes, energy or water retrofit requirements and specifications. Knowledge of department energy or water resource initiatives and targets. Knowledge of construction materials, practices and procedures. Knowledge of city practice, policy and procedures. Skill in using computes and related software. Ability to determining quality of materials, workmanship and compliance with specifications. Ability to handle conflict and uncertain situations. Ability to operate and maintain testing and diagnostic equipment. Ability to use graphic instructions, such as blue prints, schematic drawings, plans, maps or other visual aids.